I like jeans. I like flowers. So I made flowered jeans. Why not? It’s a super easy DIY, and the result is great. Read on to see how to make some for yourself! White and yellow paint. Fabric would be ideal, but acrylic is fine too. Markers (they can be fabric markers, or not). It’s best if you have one that is the same color of your jeans, and one that isn’t. Jeans, or other pants. 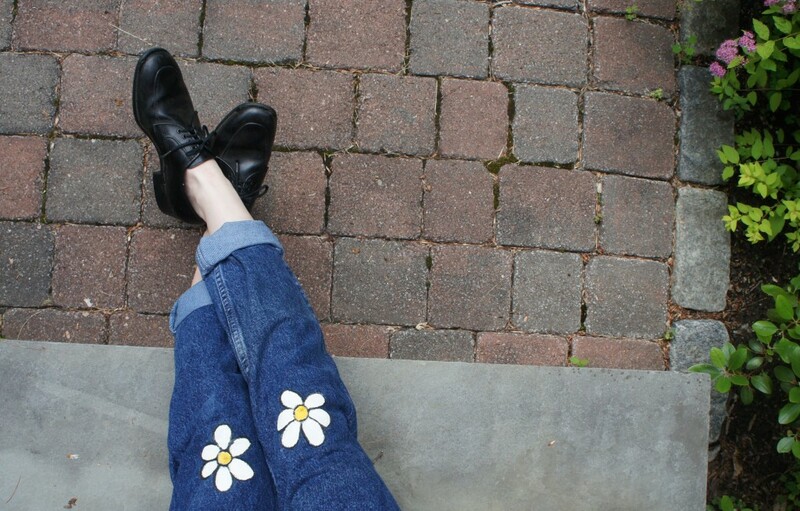 I chose dark denim jeans because I thought the daisies would pop more on the dark. First, mark where you want the daisies to go. I put on my jeans to do this, so that I could be sure to get the right place. 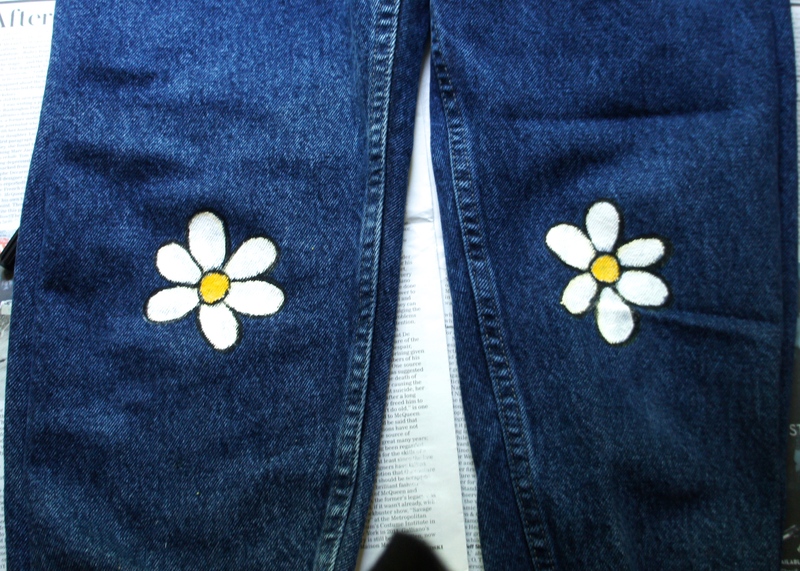 While you have the jeans on, decide upon a size for the daisies. 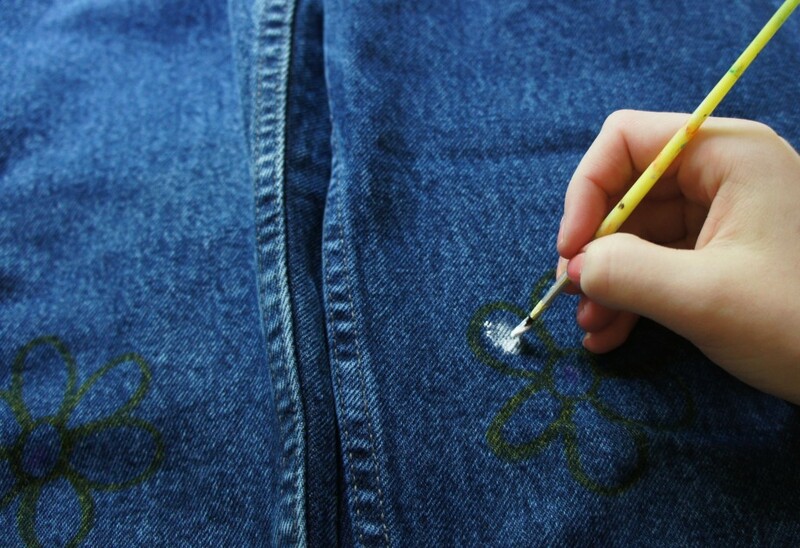 Take off the jeans, and draw the flowers on both knees, trying to make them as identical as possible. Then paint in the petals. I used a little paint brush to do this, so that I could keep the majority of the paint within the lines. I also did the center first with white paint, then with yellow, so that the yellow is more intense. After the paint was dried, I cleaned up the edges by drawing over any mistakes with a marker. Clearly, this is a classy DIY.
! I love how it turned out. 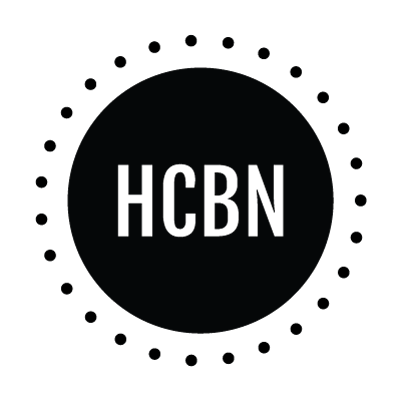 Let me know if you try this DIY out! I like jeans and I like flowers, too. Therefore, I have to try this out. I love how easy this is; you’ve GOT to style this in a post soon, Sarah! And homemade work is always classy. I totally will! Thanks May. 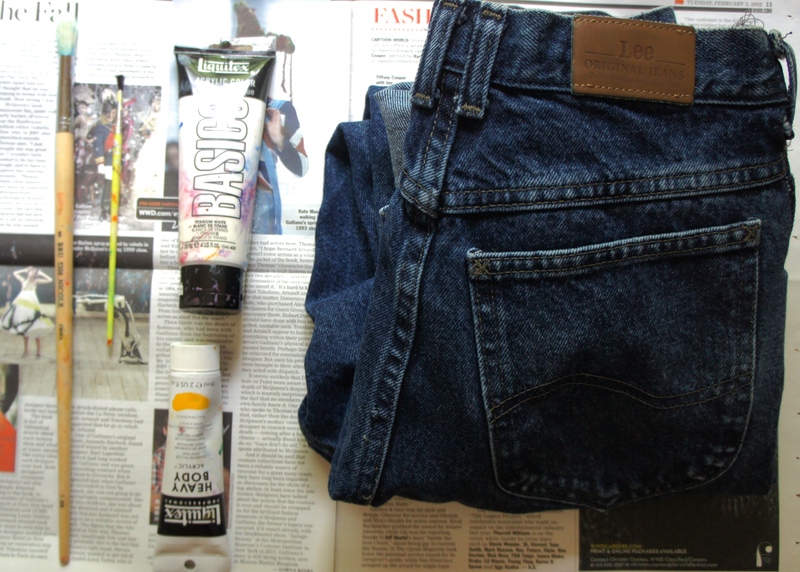 I love DIY-s and this one looks amazing.I always love finding new ways to spice up old jeans. Thanks Valentina! And no problem. Wow, great job! Your jeans are so cool! Great job!! It looks awesome. OMG, it is very cute DIY! You are so talented! Such a cute idea. Reminds me of a pair I had as a kid.